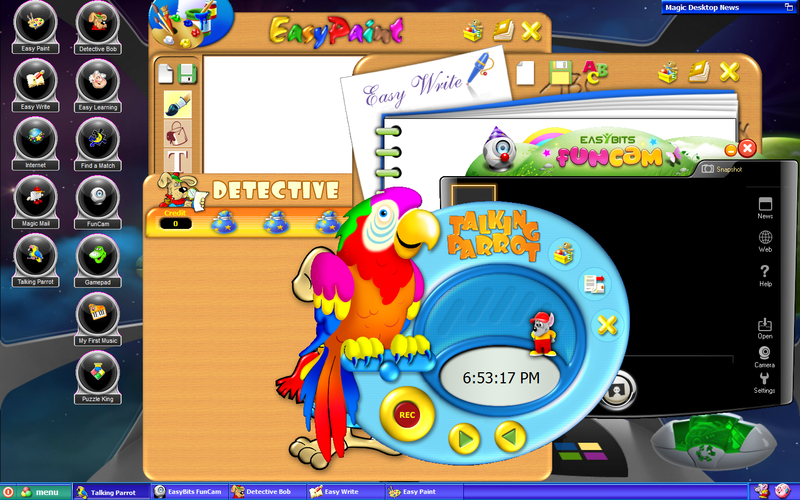 Magic Desktop is one of the amazing software from EasyBits . It works as an Operating system which is kid friendly thus plays an easy way to handover your personal computer to a child. When you turn on EasyBits Magic Desktop , your windows will migrate to a new world for Kids ,where everything is Kid friendly and doesn’t have access to any system files or devices of Your PC. 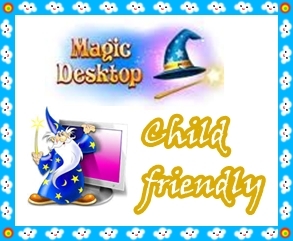 Magic Desktop comes with attractive themes for amusing Kids with different subjects that Kids favors, themes with click motions apps . Central control over Magic Desktop is done by Master password, which the admin may set and it is necessary for making any changes or for returning to windows . So a child cannot close Magic Desktop without master password thus its easy for the Guardian to protect the drives and System files.